Join us at 1STBANK Center in Broomfield, CO on December 28, 29 & 31 to ring in 2019 – Ultimate Incident style! 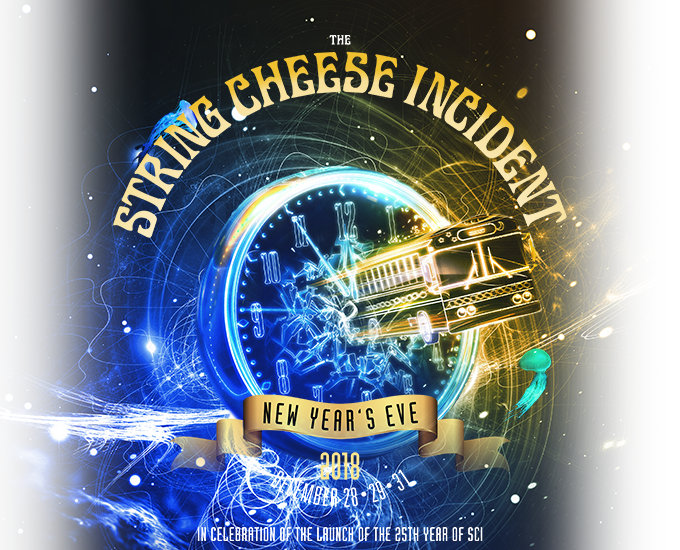 We’ll be celebrating the New Year and the launch of The String Cheese Incident’s 25th year in Colorado with 3-night Ultimate Incident packages, and 4-night general admission and Ultimate Incident Travel Packages. Check out the full details below. 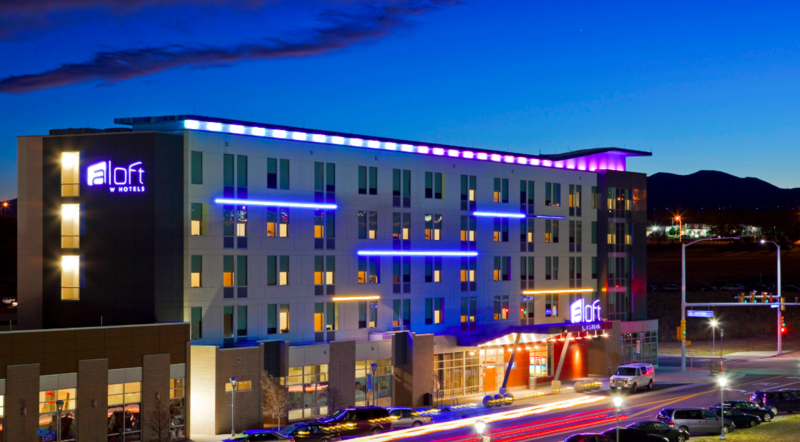 Celebrate your style in the Mile-High City suburbs at Aloft Broomfield Denver. The lively, loft-inspired scene is midway between Denver and Boulder and is just steps away from the 1STBANK Center. Breeze into one of the Aloft rooms, featuring an ultra-comfortable signature bed, walk-in shower, custom amenities by Bliss® Spa, complimentary wifi, and more. Four (4) nights stay at the Aloft Broomfield – walking distance from 1STBANK Center! 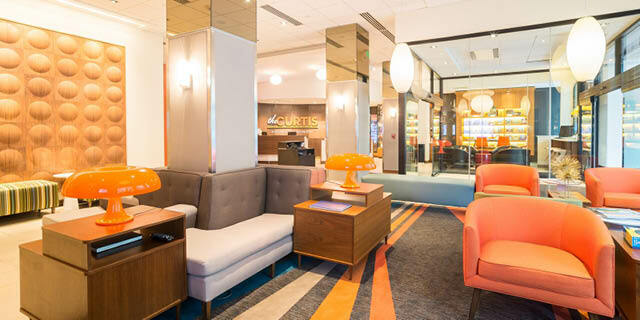 Contemporary design meets good old-fashioned fun at The Curtis Hotel in downtown Denver – a DoubleTree by Hilton Hotel. Be welcomed with a warm chocolate chip cookie on arrival while the Five & Dime store brims with treats from the past. 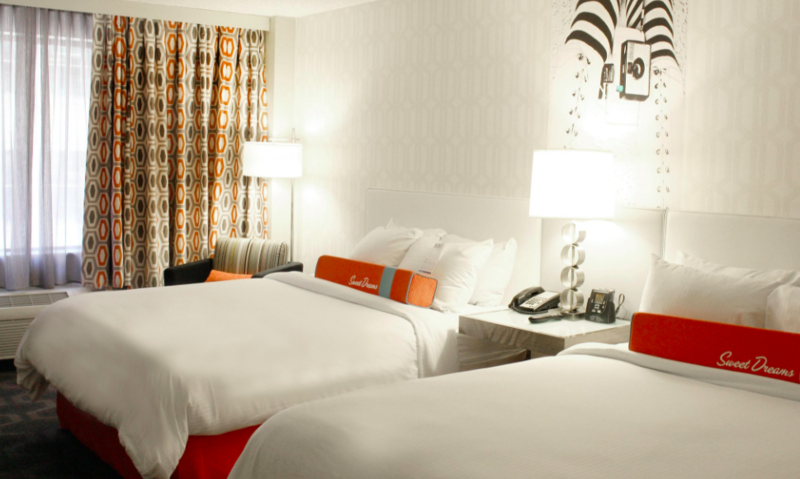 Each guest floor is designed to reflect a pop theme from TV to music to art or sports and beyond. Guest rooms feature a King or 2 Queen beds along with an oversized desk, comfortable reading chair, 42” flat screen TV, iPod docking station and complimentary high speed Internet access. A: The Ultimate Incident packages are open to people of all ages! However, all guests must be 18+ to purchase the Aloft Broomfield travel package and check into the hotel. All guests must be 21+ to purchase The Curtis travel package and check into the hotel. People under these age restrictions may still occupy a room; however the person whose name is booked on the reservation must be of age to check in and must present valid photo identification. Q: Can I choose whether I get a GA Floor ticket or the Ultimate Incident VIP section ticket? A: Yes! You can narrow down your ticket search during the ticket selection process as long as both options are available. Once one ticket type sells out, the packages will default to the remaining ticket option. Q: Do I pick my seat in the Ultimate Incident VIP section? A: Nope! While this is a reserved section in the bowl, the seats are still on a first come first serve basis for Ultimate Incident guests. Q: Where exactly is the Ultimate Incident VIP section in the bowl located? A: The specific VIP location is still being determined, but we promise all guests with this ticket type will have an awesome view! Q: Do these travel packages come with concert access? A: Yes! All travel packages come with either 2 GA or 2 Ultimate Incident passes. You will get the same perks as any other non-travel package guests with the same ticket-type in addition to all the perks you’ll get as a Travel Packager! A: Most venues offer accessible seating areas to accommodate their guests. Availability and type of accessible seating tickets will vary based on each venue’s policies and/or the type of event taking place. If you would like to inquire about accessible seating as part of an Ultimate Incident or travel package, please reach out to us at guestservices@cidentertainment.com or 888-805-8930 immediately after purchase. We will go over any available options. A: During the purchase process of the Ultimate Incident package, you will have the option to select your ticket delivery method. If you choose to have your tickets shipped or emailed to you in advance, you will still need to check in with us at the event to ensure you get to take advantage of all the perks that come with your package! If you choose to pick up your tickets at Will Call, please be sure to stop by the venue box office to retrieve your tickets prior to meeting us at VIP check-in. We will have the remaining package merchandise and credentials available at VIP check-in. All travel package guests must select will call. CID Entertainment representatives will be at a designated location within the hotel to assist you. Here you can check in, and pick up your tickets, as well as any merchandise or additional items that come with your package. Although your room is paid for in full, you will need a credit card for any incidentals you may incur. As it gets closer to the event all package purchasers will receive an informational email including the exact time and location for check-in. Please bring valid photo ID and stay tuned for that email! Q: When can I check in as an Ultimate Incident guest? A: While the exact time varies with each show, VIP check-in will generally occur about 2 hours before doors open to the public. We will provide the specific times and check-in location for your show in our informational email about one week before the concerts. A: All merchandise must be redeemed on site at our check-in. Unfortunately, we are unable to ship out any merchandise post-event. Q: Is VIP parking included in the Ultimate Incident packages? Q: Is parking provided in the travel packages? A: All Ultimate Incident packages must be paid for in full. However, there is a payment plan for all travel packages! An initial 60% will be charged upon purchasing your travel package and the final 40% payment will be automatically deducted on November 2nd. If you purchase after November 2nd, you will be charged for the travel package in full upon your purchase. Q: How far is each hotel from 1STBANK Center? The Aloft Broomfield hotel is just about a 7 minute walk (.4 miles). 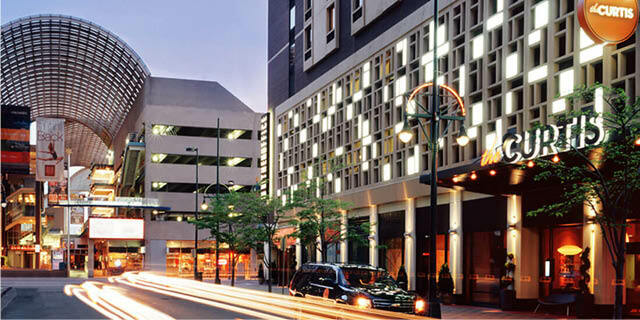 The Curtis hotel in downtown Denver is about a 25 minute shuttle ride (16 miles). The informational email will include specifics on the shuttle schedule. Q: Can I upgrade to an Ultimate Incident VIP package if I already purchased a regular ticket? A: Our ability to upgrade depends on a few different factors – but please reach out to our guest services team at 888-805-8930 to inquire about any upgrade availability, and we’d be happy to discuss your options with you! A: The on-site event host is basically an extension of our Guest Services team at the event itself. He/she will be available for any questions or concerns that may arise during the experience. Q: The people attending the concerts with me may be arriving late. How would they get their tickets, merchandise, etc.? A: The original purchaser will check in for all package materials, and he/she will then be able to distribute accordingly. Thus, we advise for your whole party to come to check-in at the same time to make it quick and easy.